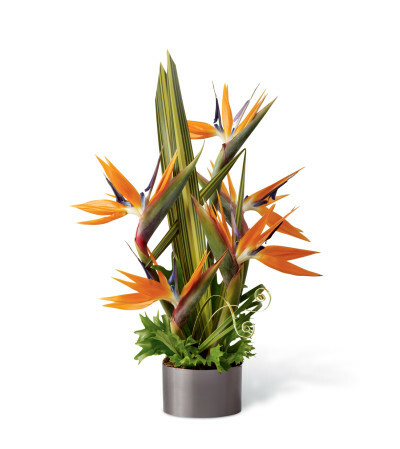 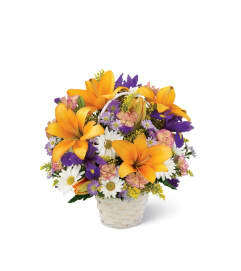 The FTD® Tropical Bright™ Arrangement highlights the incredible texture and color of Birds of Paradise to bring your special recipient a flower arrangement blooming with modern elegance and eye-catching grace. Brilliant orange and purple Birds of Paradise blooms are arranged amongst an assortment of tropical leaves to create a stunning display. 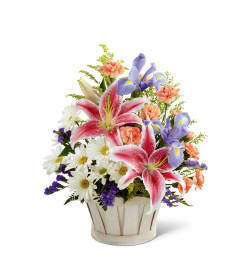 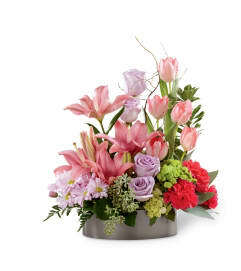 Presented in a graphite round container, this arrangement is perfect to send in honor of their birthday, as a congratulations gift or to say thank you.